The garage door specialist in the Washago area. At Jessco Overhead Doors, you can always rely on our dedication to outstanding quality and quality service. Since 1989, our business has been exceeding customer expectations. Call us at 705-325-2568 today for more information about our services. Buying a new garage door in Washago, ON? Washago is located south of Orillia, ON. Just like all the cities in this area, there is many traditional and Georgian architecture. 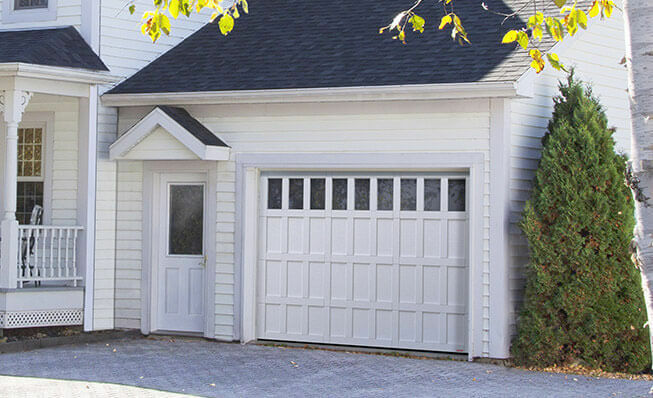 We have garage doors that will fit perfectly every style. Take a look at our image gallery and you’ll see there is hundreds of choices available. When an emergency strikes, Jessco Overhead Doors is always there for you. We offer 24-hour emergency service for any needs you may have. If your garage door fails to operate, give us a call at 705-325-2568, or contact us with our convenient online form. We are proud to service Orillia, Gravenhurst, Barrie and surrounding areas. We specialize in repairing, installing and maintaining garage doors for our customers. At Jessco Overhead Doors, you’ll always find what you need, just like replacement parts as well as decorative accessories to add style to your door and home. We can provide service for garage doors in Washago for replacement panels, damaged openers, broken springs and more. Washago’s climate can be humid in summer, but also cold with snowy winters. That makes Garaga garage doors ideal options for this area. Both the Standard+ and Cambridge models offer R‑16 rating, which means excellent energy efficiency. You can design them to suit your needs with our Design Centre. At Jessco Overhead Doors, we think the Liftmaster products are the best, that is why we recommend them. They are operating smoothly and they are reliable. They can be used for residential, industrial and commercial garage doors.